The award-winning Georgia International Law Enforcement Exchange (GILEE) is a joint project of Georgia State University and local, state, federal, and international law enforcement and public safety agencies. GILEE’s mission is to enhance law enforcement executive development and international cooperation for the provision of better law enforcement services and public safety through the protection of civil rights. GILEE’s focus has been on anti-terrorism training eversince its establishment in 1992; initially to protect the 1996 Centennial Olympic Games and later to improve preparedness for terror threats. Following the September 11 terrorist atrocity, GILEE focuses on enhancing homeland security efforts through international cooperation and training programs. GILEE’s goal is to provide peer-to-peer professional training through the introduction of best practices in order to enhance agency capabilities to better deal with threats to public safety and improve security. In partnership with public and corporate sectors as well as civic groups, GILEE offers law enforcement executive development programs by focusing on peer-to-peer on-site training and international cooperation. GILEE trains top U.S. law enforcement officials in Israel and in other countries to learn valuable security tactics from their counterparts. They learn best practices from expert peers who frequently handle bombings and other terrorist activities that are increasingly becoming serious threats all over the world. In return, international delegations come to Georgia to study how the U.S. deals with emergency management, homeland security, violent crime, special events, and the myriad of issues concerning urban and rural policing. GILEE also provides special public safety and corporate security briefings, seminars, and workshops that facilitate cooperation between law enforcement and corporate security utilizing expert resources in the areas of asset protection, loss prevention, physical security, business continuity, terrorism, active shooting, and cyber-crime. 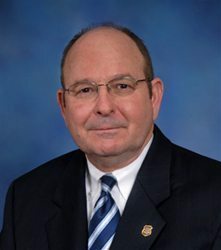 The GILEE Program greatly enhances the professional development of Georgia law enforcement executives through personnel interaction with criminal justice officials in other countries. Participants in GILEE are exposed to crime problems that cross national borderlines and are provided with realistic measures to combat these problems. GILEE has a measurable impact and the demand for our programs continues to grow in Georgia, around the nation and overseas. GILEE’s objectives focus on peer-to-peer law enforcement executive development, public-private partnerships, and on international cooperation. GILEE’s extensive community partnerships provide tangible benefits to the law enforcement community, to corporate security, to the business community and to the community at large. To date, GILEE has carried out over 470 programs for more than 1,700 law enforcement and other executives. Of those programs, more than 220 were special briefings, seminars, and workshops for more than 33,000 public safety and corporate security officials in or from more than 25 states and 25 countries. GILEE has a 501(C)3 organizational status through the Georgia State University Foundation.